The Boston Red Sox are set to interview Philadelphia Phillies bench coach Pete Mackanin and Milwaukee Brewers hitting coach Dale Sveum for their vacant managerial position this week, according to WEEI radio in Boston. Mackanin and Sveum will be the first two candidates interviewed by Boston to replace Terry Francona, whose contract was not renewed after a tremendous collapse, as the season drew to a close, that led to the Red Sox missing the playoffs. 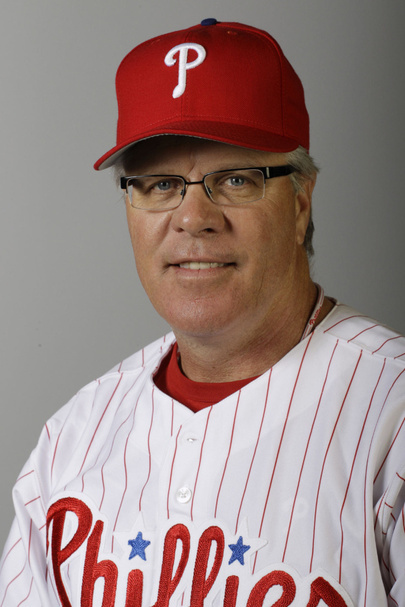 The 60-year-old Mackanin previously managed the Pirates and Reds in an interim capacity and managed several minor league clubs. Mackanin played in the big leagues with the Rangers, Expos, Phillies and Twins. Mackanin has served as the Phillies' bench coach, under manager Charlie Manuel, for the past two seasons. Svuem, 48, previously coached for the Red Sox from 2004-2005. A former big leaguer, Svuem played for the Phillies, Brewers, Pirates, Yankees, Athletics, Mariners and White Sox. Since 2006 during his tenure with the Brewers, Svuem has held multiple coaching positions including third base coach, hitting coach, bench coach and interim manager. Additional candidates are likely to interview for Boston's managerial gig in the coming weeks as well. The potential subtraction of Mackanin would open a vacancy on the Phillies' big league coaching staff. Such an opening could allow Philadelphia to keep Triple-A Lehigh Valley IronPigs manager Ryne Sandberg in the organization. Sandberg, a Hall of Fame player, has been rumored to be on his way out of the Phillies developmental system in favor of a big league position with another club. In all honesty, any way to keep Sandberg in the organization is the move I make.